Last night was glorious. The wind gently blew as a perfectly cool and wispy breeze through my hair. I one eye squinting gazed through the long lens to capture her. There she was the beauty I have been waiting for for many weeks now. 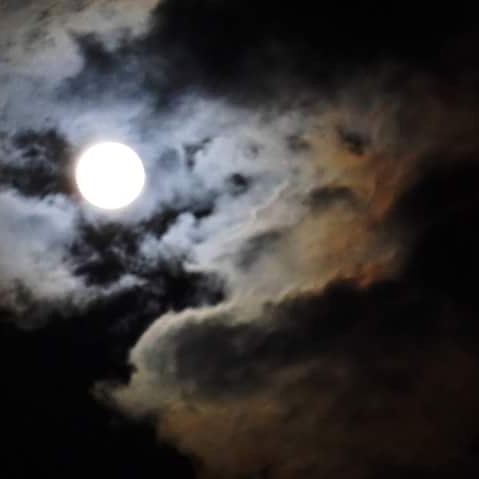 Lady Moon so magical so mysterious so crisp floating among the dust stormy looking clouds. She really knows how to shine and put on a show for her anxious fans on earth below. How many nights she has ruled the night? How many lives has she graced with her subtle light? How much wisdom she shares in taking her place so still and calm among an explosion of twinkly lights. Oh Lady Moon, you truly are a Super Moon tonight.